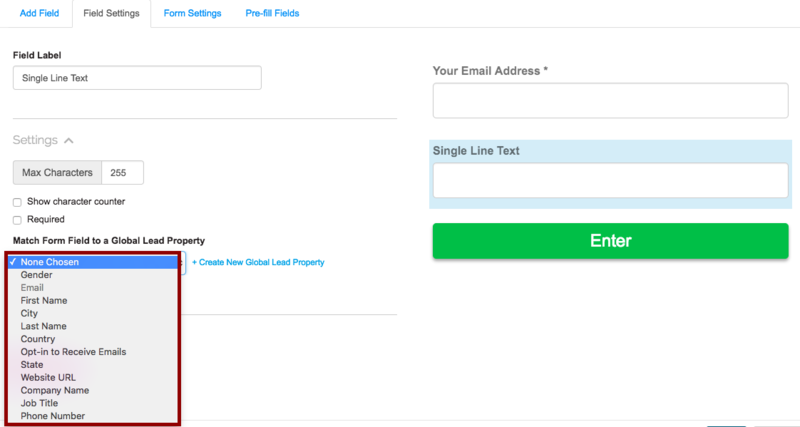 What is a Global Lead Property? 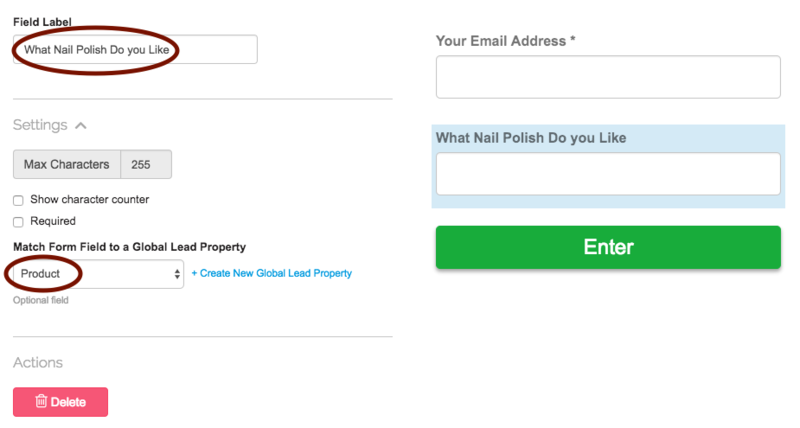 Global Lead Properties are the contact information shared by each lead in your Wishpond account, such as Email and First Name. 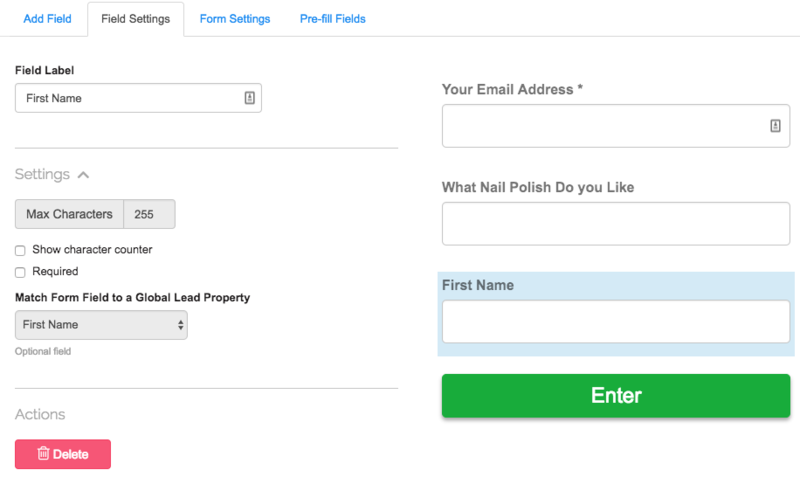 This allows you to keep your lead’s information organized across different Campaigns and Lists. 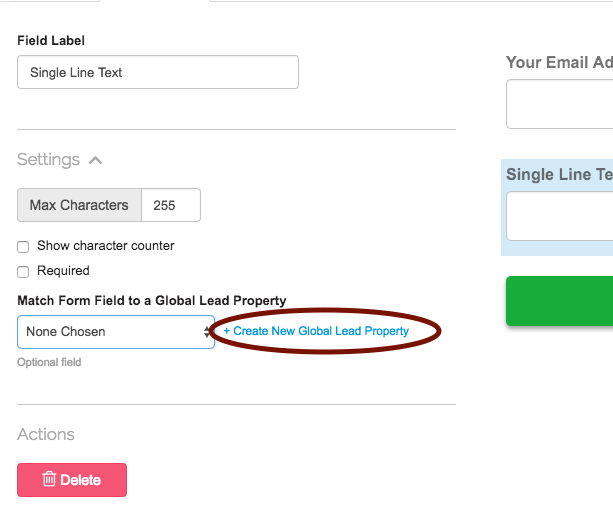 For example, you can have one form with a field labelled “Your First Name” and a different form with a field labelled “Enter First Name” and have them both match to the same “First Name” Global Lead Property. Choose a Gloabal Lead Property that you would like to match it to. 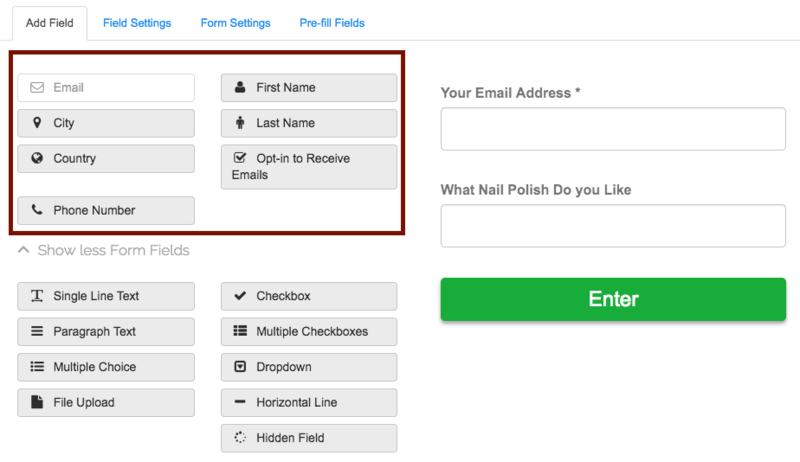 For example below, you could type and save "Product" so that you can match the product the participant chooses to your Product list in your email account. This field label is named "What Nail Polish Do You Like? ", the product they choose will be saved as their response. 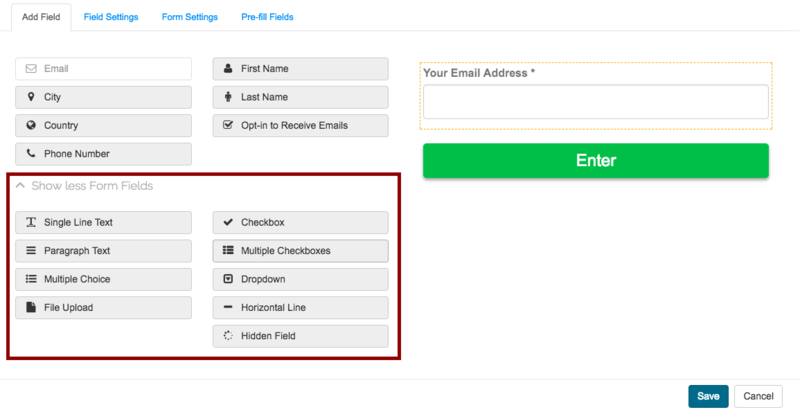 There also default form fields for the most popular form fields to make it quicker to create. These are already matched to global lead properties.